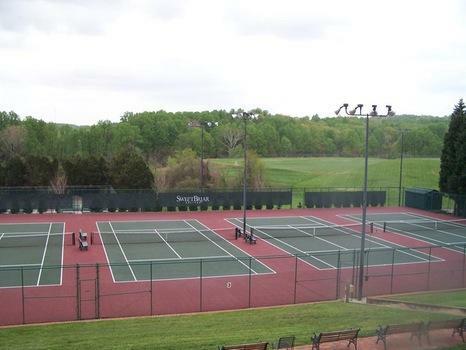 The Sweet Briar tennis facility, one of the finest tennis facilities in the southern region, features 14 beautiful outdoor tennis courts. The facility has hosted two national tournaments and several Old Dominion Athletic Conference (ODAC) Championships. Seven of the 14 courts were resurfaced in the fall of 2005.